Welcome to the city of Wilthen ! We are happy you are interested in our city and have found our website. On the following pages you will find information and current news regarding our city life. 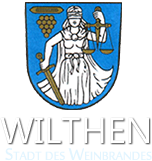 Look around, tell your friends and visit us in Wilthen!